Context has received significant attention in recent years within the information fusion community as it can bring several advantages to fusion processes by allowing for refining estimates, explaining observations, constraining computations, and thereby improving the quality of inferences. At the same time, context utilization involves concerns about the quality of the contextual information and its relationship with the quality of information obtained from observations and estimations that may be of low fidelity, contradictory, or redundant. Knowledge of the quality of this information and its effect on the quality of context characterization can improve contextual knowledge. At the same time, knowledge about a current context can improve the quality of observations and fusion results. 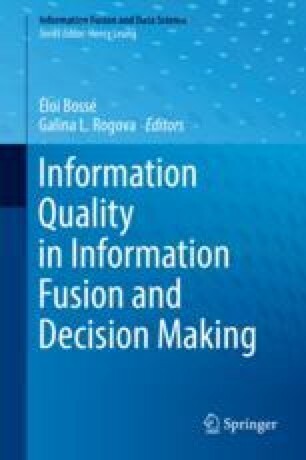 This chapter discusses the issues associated with context exploitation in information fusion, understanding and evaluating information quality in context and formal context representation, as well as the interrelationships among context, context quality, and quality of information. The chapter also presents examples of utilization of context and information quality in fusion applications. This chapter is an extended and revised version of .